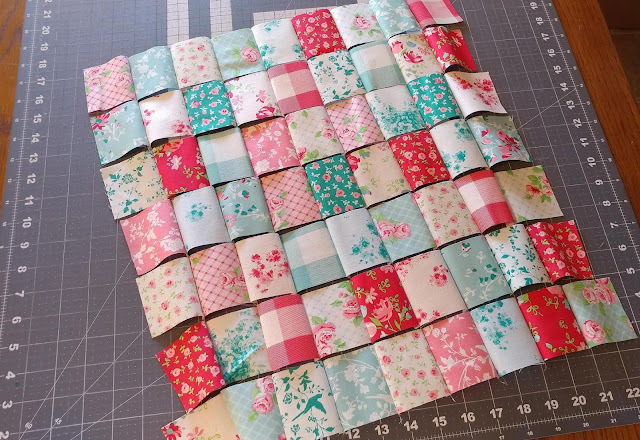 I ordered a fat quarter bundle of The Elm Park Collection from Fat Quarter Shop, but wasn't quite sure what to make. 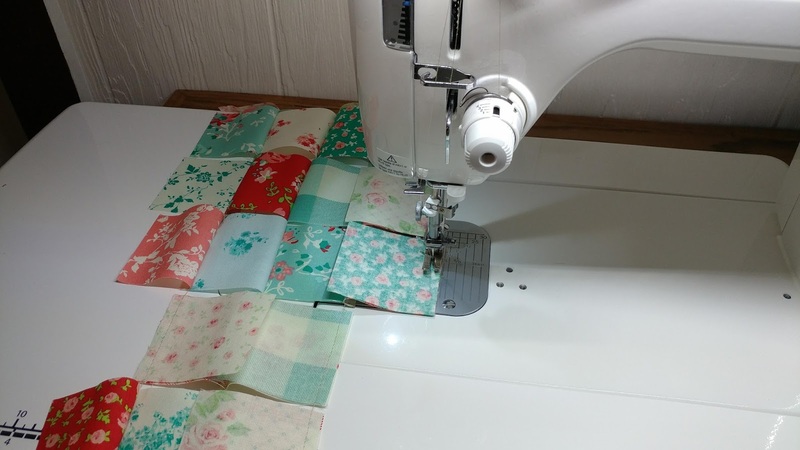 The fabric isn't my usual style, but that's part of the fun of the challenge! A whole slew of other important deadlines and life stuff got in the way of creating something for the challenge. 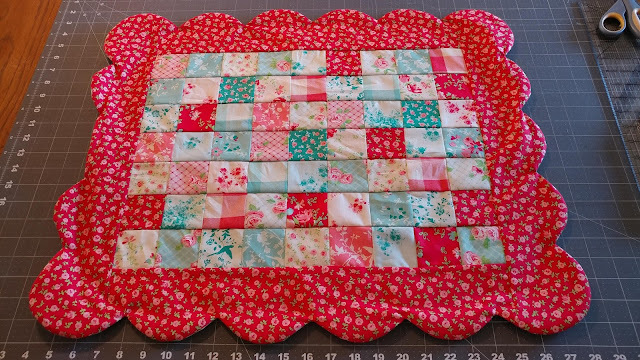 But the day before the deadline, I put all other work aside to sew! I needed something that I could complete in a day, and also something that showed off the collection. 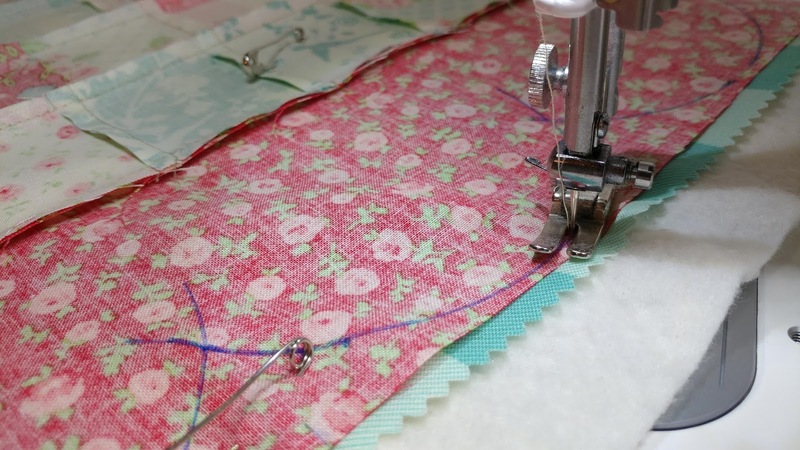 The prints are mostly small florals, and I wanted to accentuate the girly-ness of them. I cut 2 1/2" squares from all the fabrics, sewed them together in a 7x9 layout, then added a 4" border. 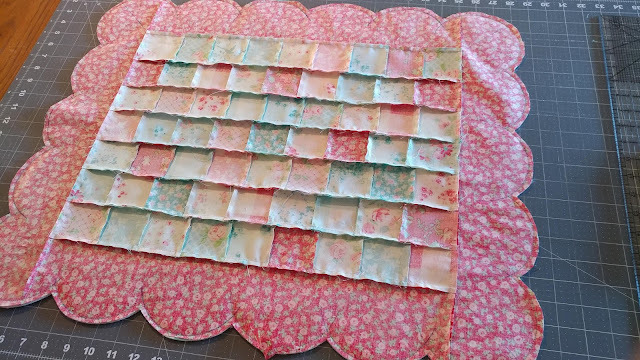 I layered the batting (80/20 from The Warm Co.), backing (right side up), and quilt top (right side down), then pin basted the layers together. 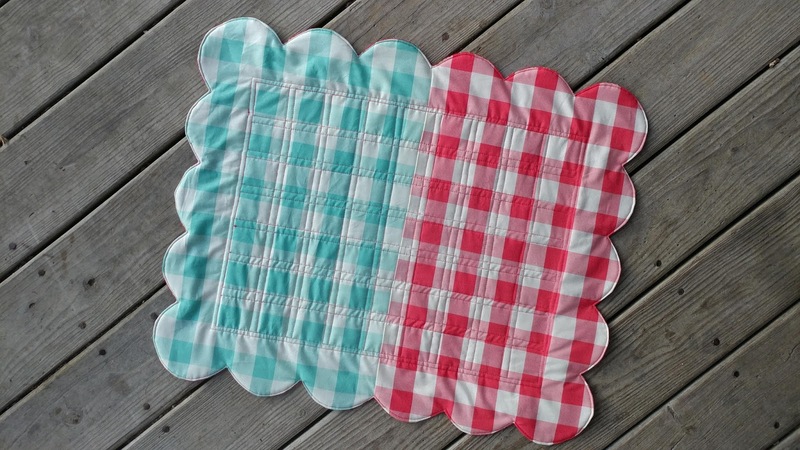 I used a roll of painter's tape and a washable marker to draw scallops around the edges. I did not measure these, I just "eye-balled" it. 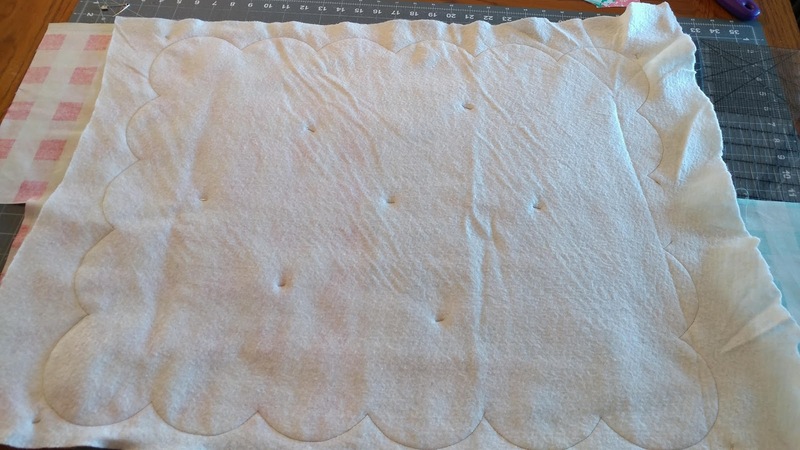 I stitched along the drawn lines, leaving one scallop unsewn so I could turn it right side out. 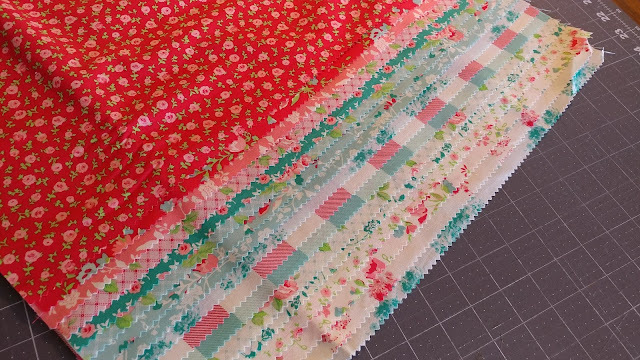 I trimmed the excess batting and fabric, then snipped along each curve and between each scallop. Once turned right side out, I used 50wt Aurifil Red #2250 to stitch about 1/8" from the edge to close the opening. 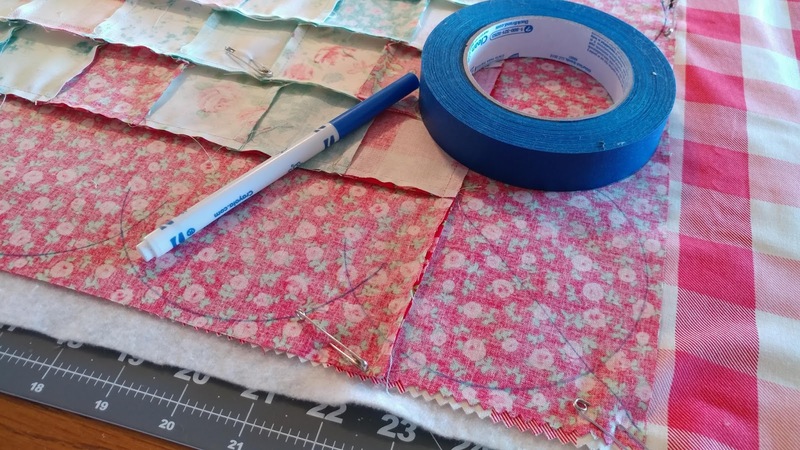 Then I used my walking foot to quilt 1/4" on either side of the ditches of the patchwork center. The mini quilt finishes about 20" x 24". I think it turned out really cute! Now I just cross my fingers to see if it's enough to win the challenge! I found out April 28th that I won!!! I will be getting a fat quarter bundle of the Elm Park collection and a sterling silver Laura Ashley charm bracelet from Delmar Jewelers!! You can view the other entries on Facebook and Instagram by searching for #myLauraAshleymake. Of course you had to participate in this challenge, and how cool to learn what you are named after (fate!!). 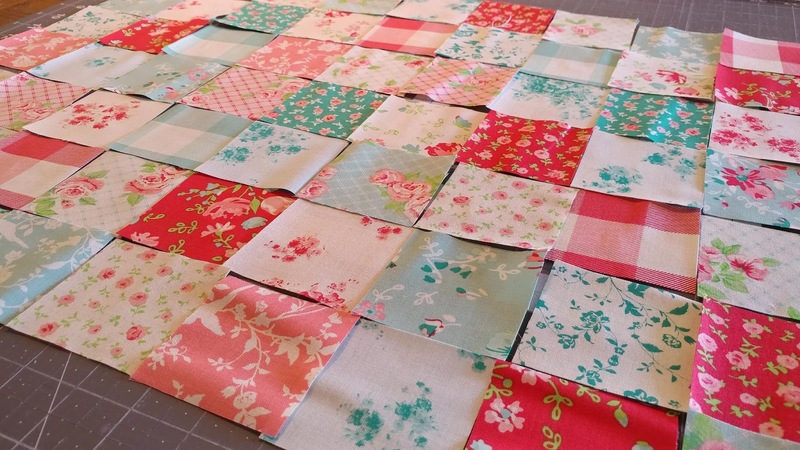 What a fun challenge for you to participate in! Do you like the Laura Ashley style? 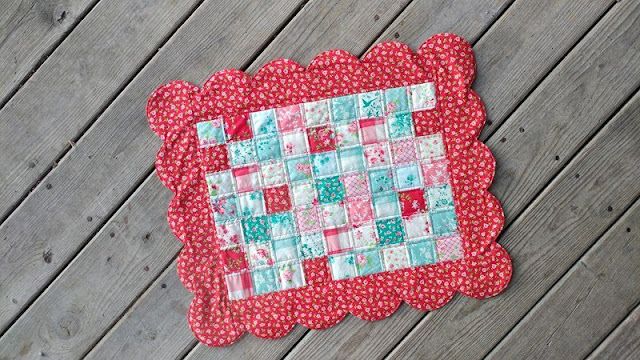 Your mini quilt certainly fits it, especially with those scalloped edges. 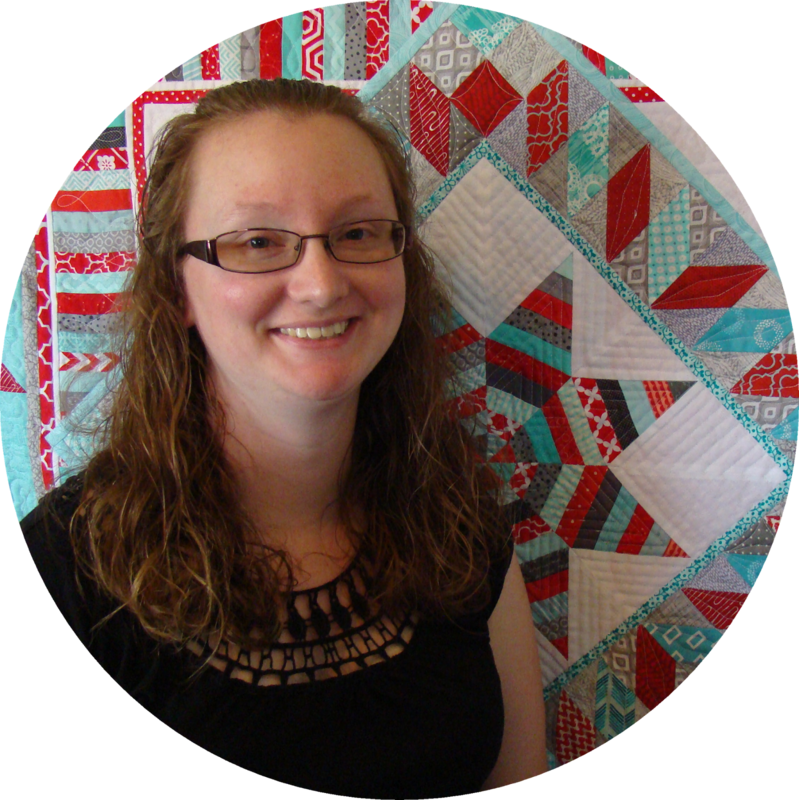 Laura, what fun that we know where your name came from and that you participated in the challenge. 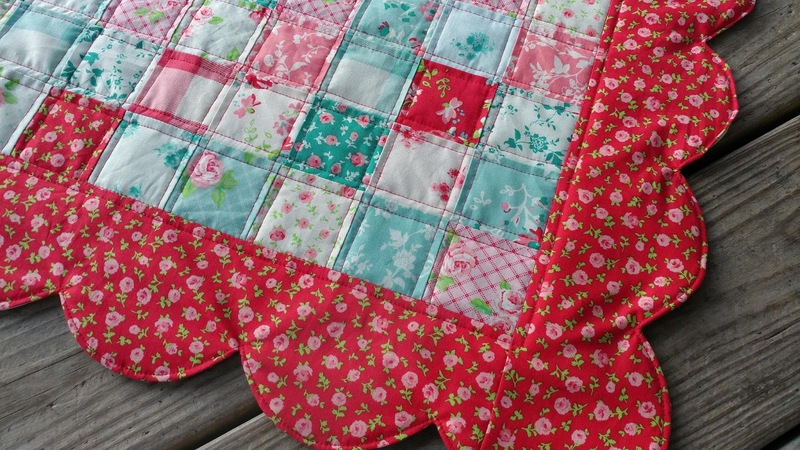 I love the scallop edge and the quilting. 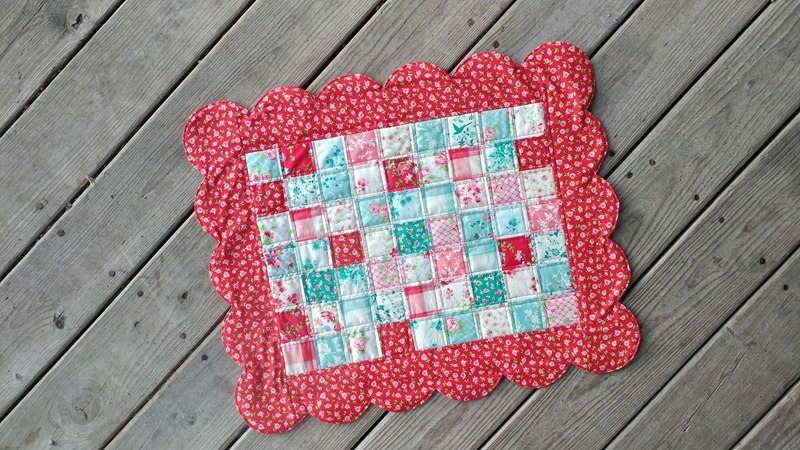 What a fun little quilt! Good luck in the challenge. Well...they should at least give you an honorary because of your name. Good luck, though. Love the scallops; I must give them a try. The scallops are great!!! Love it that you're named after Laura Ashley and this is your fabric line! 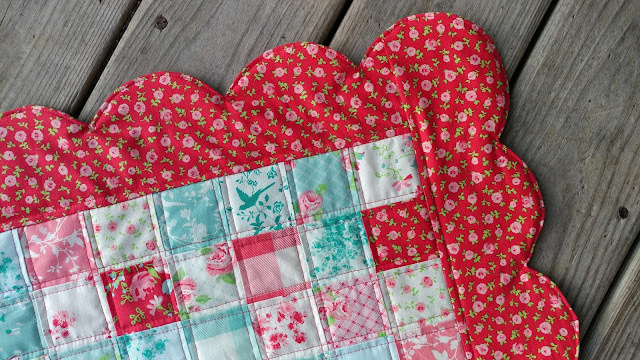 I love the scalloped edges! 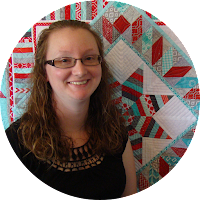 Too funny that your mom named you after a sewing pattern--I guess that turned out to be really appropriate! How special to participate in a challenge with your name. Good luck!